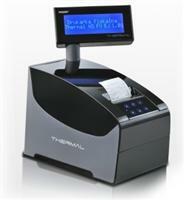 FISCAL CASH REGISTERS AND FISCAL PRINTERS – SPECIAL OFFERS! We present to your attention the current price list of fiscal printers of various purposes for subjects of trading entities and services of various scope. In our offer you will find portable printers, stationary printers, as well as printers, designed specifically for pharmacies, practically from all major manufacturers. We also invite you to the section SPECIAL OFFERS, where we regularly try to present new, extremely attractive fiscal devices, software and services purchase conditions.